A truer statement could not be made for Kensington Glass Arts, Inc. in the year 2018. A busy year full of accomplishments including awards, certifications and a plethora of new employees, it’s safe to say 2018 has been amazing for all of us at KGa. Check out some of the highlights of KGa’s banner year! KGa kicked off 2018 receiving the first of many honors for the year. In the February 2018 issue of USGlass Magazine, KGa was named to the Top 50 Contract Glaziers list. USGlass Magazine releases their Top 50 Contract Glazier list yearly but this was the first time KGa was honored with a spot. A strong 2017 helped place us at #27, outranking 23 other companies in the country. Not bad for a first-timer?! See the full article here. The ABC Baltimore Excellence in Construction Award recognizes exceptional project collaboration and craftsmanship completed by their members each year. This year, Kensington Glass Arts, Inc. was recognized at the highest level for their work in the Glass and Glazing category. KGa was selected by Southway Builders to complete glazing on the renovation of a confidential non-profit headquarters in Baltimore. The KGa Red Team’s scope of work included five floors of interior glazing and storefront as well as specialty accent glass around the reception and elevator lobbies. The team successfully tackled multiple challenges presented by the project and the outcome was deemed to be award-winning by ABC Baltimore. Learn more about he project here. The annual Top 50 Glaziers list in Glass Magazine’s June 2018 issue represents the largest contract glazing companies in the United States. This is the second year in a row that KGa was honored. 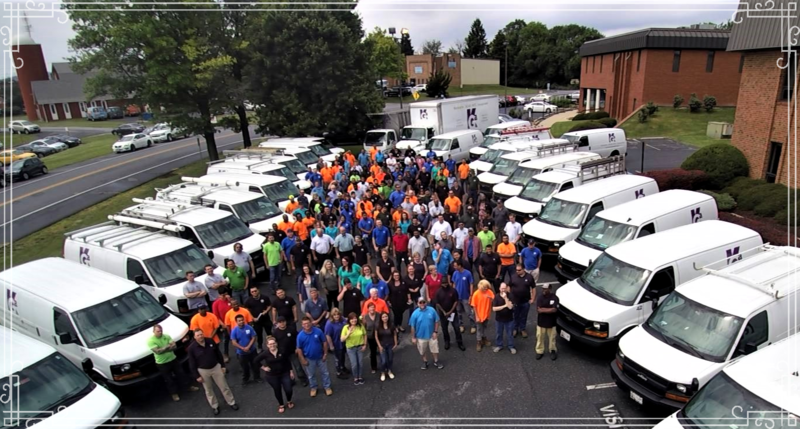 At the time of publication, KGa had increased their workforce by 25 people and added 2 new locations (KGa-Baltimore & KGa-Frederick) We can’t wait to see where we end up on next year’s list! See the full article here. 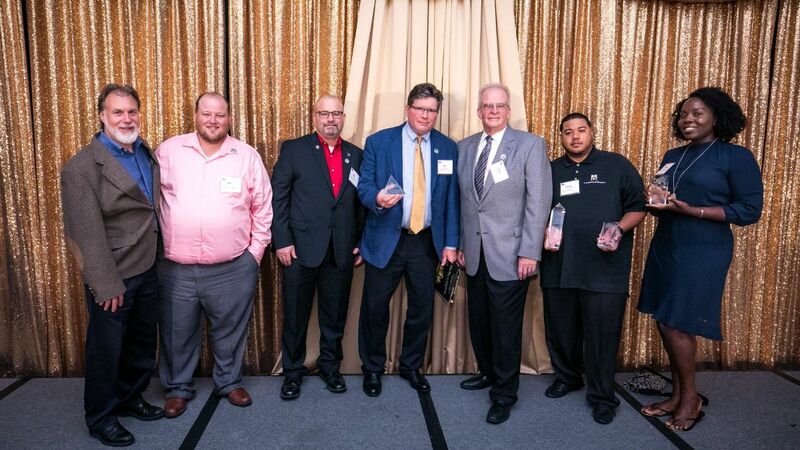 The ABC Metro Chapter Excellence in Construction Awards were held in September. 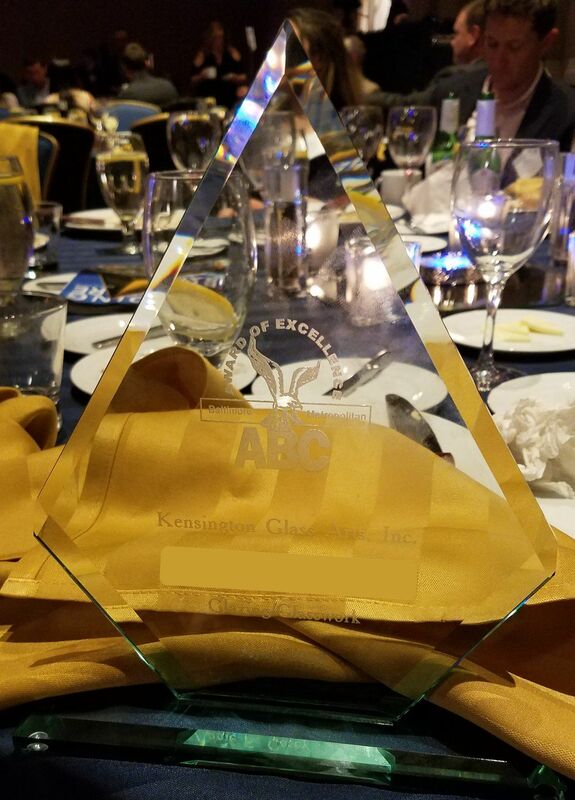 KGa went home with both an Excellence in Construction award (for KGa Orange team’s work on 600 New Hampshire Ave.) as well as the high honor of Sub-Contractor of the Year in the Glass & Glazing category. Congratulations again goes out to this outstanding team! At the start of 2018, KGa had a total of 148 employees, but by the end of December, KGa will have a total of 204 employees. That is a 43% increase! An increase in employees made for changes throughout the organization from the addition of a new facility to the addition and restructuring of teams; in total, KGa added 5 new teams including Magenta, Bronze, Indigo, Navy and Brown. In response to an increasing workforce, KGa’s fleet also grew in 2018. In total, KGa added 5 new vans and 2 new trucks bringing the number of vehicles in our fleet to 46! Read more about KGa’s continued growth below. This year KGa outgrew the two locations we previously had and expanded into a new office/warehouse in Frederick. 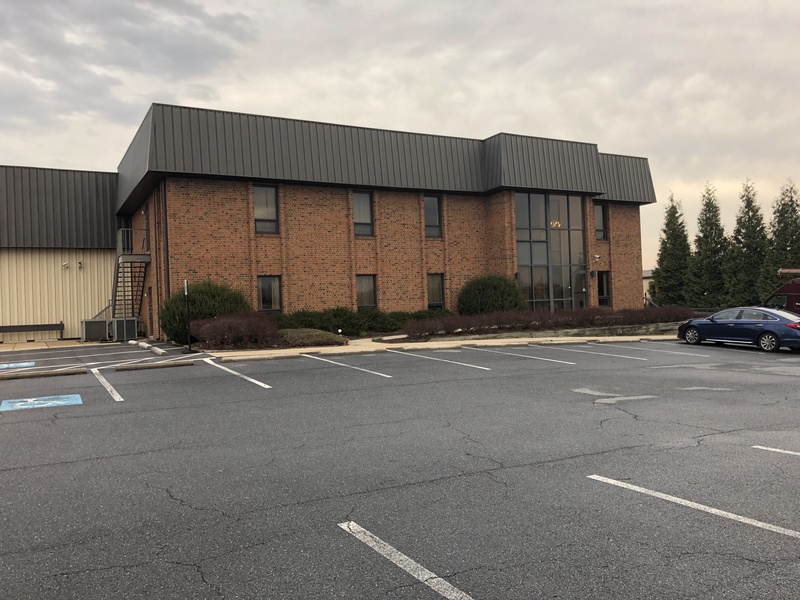 KGa’s Material Handling, Preconstruction and Estimating teams moved to the new offices in May and by the end of the year, the newly added Building Envelope team will also reside there. KGa-Frederick’s large warehouse facilities will eventually serve as a site for the storage, cutting, polishing and washing of laminated glass as well as an auto and machine shop. Aside from the much-needed additional office space, KGa-Frederick also holds two training rooms that are already being utilized to advance our employees. In the month of June, KGa hired Ray Buchheister, formerly of Emittsburg Glass Company to pioneer KGa’s new Building Envelope division. Ray came to KGa with 16+ years of managing the design, fabrication and installation of building envelope systems in the Baltimore, Washington, D.C. and Northern Virginia markets. The Building Envelope team has already won a handful of notable jobs including the Reagan National Airport’s Project Journey renovation (Read more about Project Journey here). We look forward to seeing this team continue to grow! 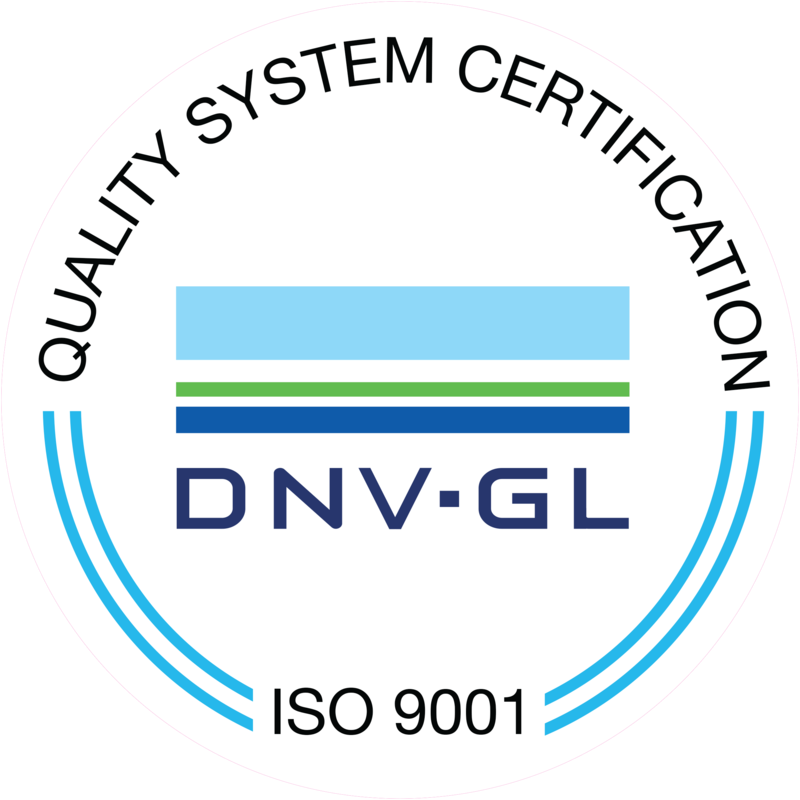 Perhaps one of the greatest achievements that KGa reached in 2018 was the certification to ISO 9001:2015 Standards for the Fabrication and Tempering Processes for Architectural Glass Scope. The certification communicates to our current and potential clients that the products we produce and distribute are consistent in quality. Dave Bibb shared that the biggest challenge in the certification process was ensuring that all employees were on-board. Without employee “buy-in” the certification would not come to fruition. Dave credits Jessica Lushbaugh as being the Champion for ISO and KGa’s certification process. Her dedication to the mission of ISO certification and encouragement of her fellow employees helped ensure the process was as smooth as possible. Congratulations to the staff of KGa on this prestigious accomplishment! Read more about the ISO Certification here. 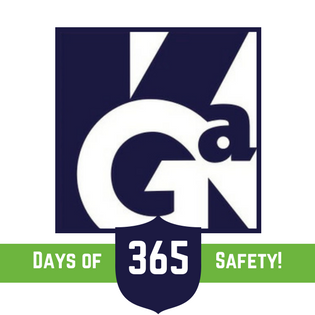 In April of 2018, KGa reached a milestone of 365 days without a “time-lost” incident. KGa’s commitment to safety begins with every new hire receiving the KGa Safety Manual. The KGa Safety Manual opens with the Executive Team’s written commitment to safety stating that all employees will be provided with an environment free of recognized hazards as well as a commitment to working safely. In addition to this, KGa requires and provides OSHA 10 certification training to ALL staff members. Everyone from the fabrication crew to the marketing staff is required to participate. KGa set a record of 426 days incident free in the year 2018 and although we have since re-set the ticker, we continue to make safety a priority by implementing various safety initiatives around the building including “Near Miss” Forms in the breakroom. We look forward to continuing to work safely and are already on our way to setting a new record. In April of 2018, KGa launched a more robust website. The vision for the new site was to ensure that the KGa brand was being carried through from the homepage to the “Contact Us” page. The website offers faster load times and an easier to navigate header. Visit the KGa website here. In 2018 KGa’s marketing plan got a digital upgrade. In February KGa hired a Digital Marketing Specialist to spearhead the digital side of KGa’s marketing. KGa now has an active Facebook, Twitter, Linkedin and Instagram account that keeps our fans up-to-date on all things KGa. Are you following KGa yet? Click the links below to follow KGa today!